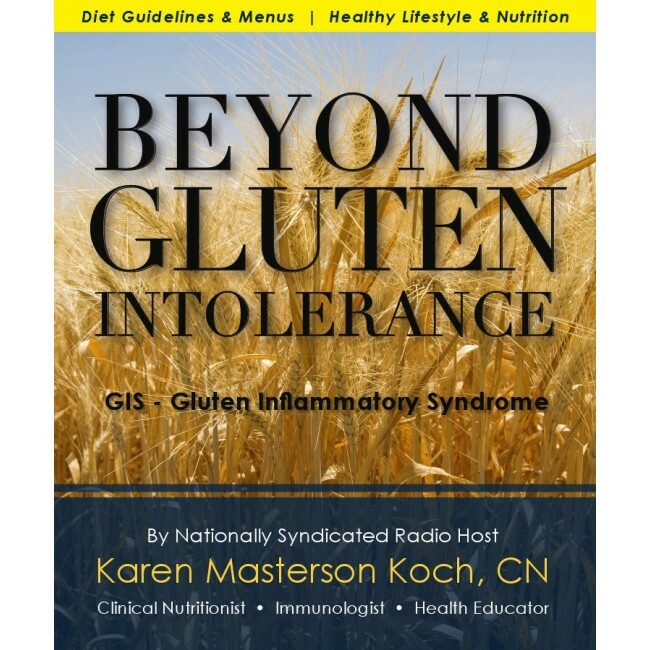 Beyond Gluten Intolerance by Karen Masterson-Koch contains 3 books in 1 including personal testimonies and explanations about why people are not being properly diagnosed. * Health Book - including over 80 health conditions and 20 Healthy Focus Factors required to reach "Optimum Health". 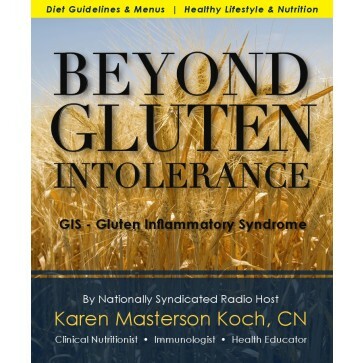 *Facts About Gluten - including the authors GIS Theories telling what they are and why it causes health challenges (of varying degrees connecting to other illnesses) even shortening life itself. *Delicious Gluten Free Recipes including meal planning, shopping lists and separate diets and supplements for the three GIS Zones plus a special TIPS Section for all people interested in becoming the healthiest they can be and more! *12 Chapters well referenced including: "Children's Chapter" reviewing fertility, pregnancy, toddler and family health goals plus the facts on vaccinations uncensored! *Also, a "Pet's Chapter" explains the importance of keeping a low gluten diet for pets too.